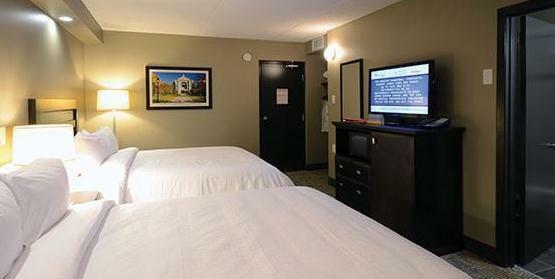 Canad Inns Garden City is located about 13 minutes by car to downtown Winnipeg and about 18 minutes to Winnipeg's international airport. 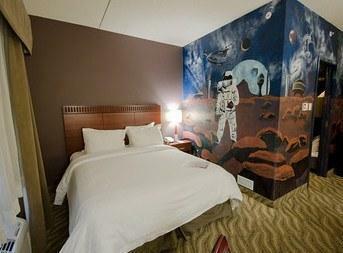 This hotel is known for its kid-friendly perks like a waterpark and themed children's rooms. The 100% smoke-free, pet-free and air-conditioned property has 3 storeys, 1 elevator, and 72 guest rooms and suites including queen leisure suites (featuring 2 bedrooms and separate living room), kids' theme rooms and accessible rooms. All rooms include free Wi-Fi and computer data port, a mini-fridge, a coffeemaker, a microwave, a hair dryer, and an ironing board with iron. Children under 17 stay free when accompanied by an adult. 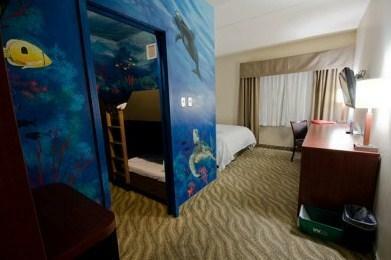 Hotel amenities include free parking, a waterpark with indoor pool, waterslide, hot tub and kiddie's pool. On-site dining options include Aaltos Garden Cafe serving traditional comfort food for breakfast, lunch and dinner from a combination of a full buffet and off-the-menu choices. 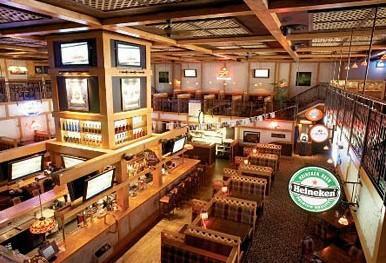 Tavern United is a sports bar serving a full pub menu and premium beers. Playmaker's Gaming Lounge offers a full menu and video lottery terminals for those 18 years of age or over. Essence Night Club is open weekends from 9:00 p.m. and offers two full service bars, dance floor, DJs and other entertainment. Breakfast specials are offered daily for $3.99. 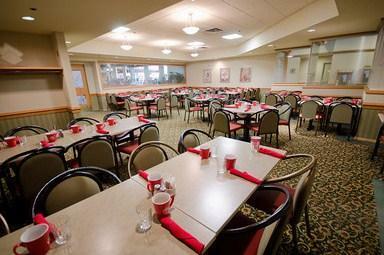 The Canad Inns Garden City is an 11-minute walk (or 2-minute drive) from Garden City Shopping Centre. The Manitoba Museum of Man and Nature with Planetarium & Science Gallery is a 14-minute drive away in downtown Winnipeg, and Shaw Park, the home of the Winnipeg Goldeyes Baseball Club is 17 minutes away by car. 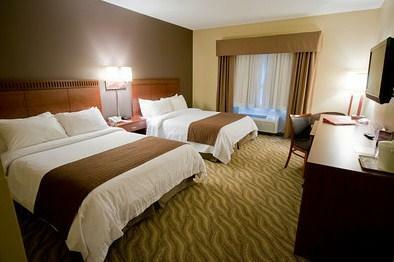 Verified by a Front Desk Agent on August 1, 2012: pet and smoking policies, daily breakfast special for $3.99, free Wi-Fi is available throughout hotel, free parking, free local calls, free newspapers, no fitness facility, no business centre, no airport shuttle, no smoking rooms. 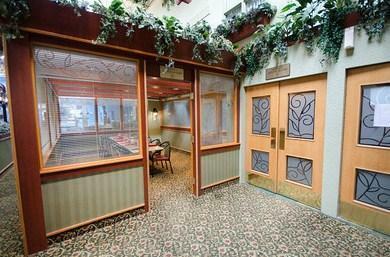 This hotel was very well reviewed by its guests in the reviews used for this analysis. 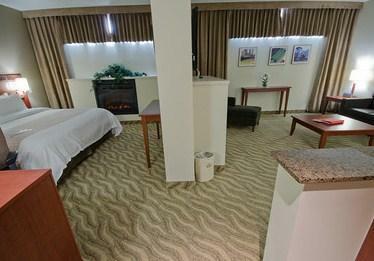 Guests typically enjoyed their stays, with many recommending the hotel to others and saying they would stay here again. The friendly, accommodating staff and the service and food in the restaurant were the two most highly praised items of the recent guest reviews online, which were used for this analysis. 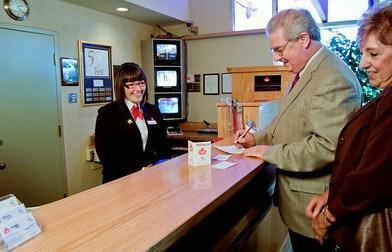 The staff were considered to be efficient and professional. Some guests said the service was excellent. The food in the restaurant was equally pleasing with guests reporting outstanding service and great food. 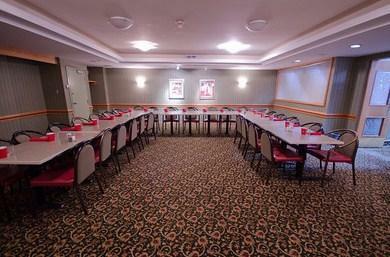 One guest mentioned the great atmosphere of the hotel and the recent renovations. 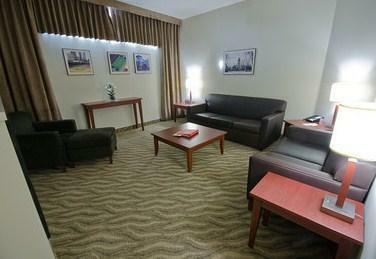 Many liked the rooms saying they were excellent, modern and clean. A couple of guests highlighted the beds saying that they had "lovely duvets with great pillows" and "clean, fresh smelling linen". Another guest mentioned having a "lovely bathroom" with an oversized tub to relax in after a long day. 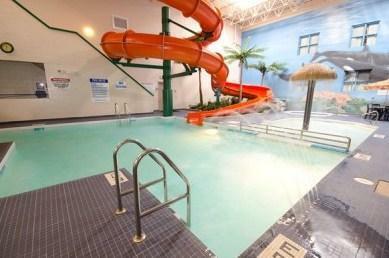 Guests said they and their children loved the pool. A few guests offered their critique of the hotel but their comments were somewhat isolated in nature. One guest suggested that breakfast should be offered until 11:30 a.m., "giving the guests more time to relax in the morning and actually be on a holiday". 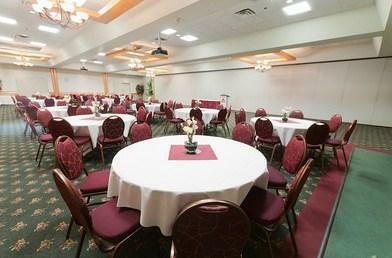 TripAdvisor.com ranked the hotel #6 out of 57 properties in Winnipeg and guest ratings averaged 4.5 points out of 5 from 8 reviews. 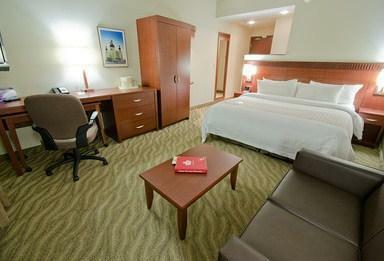 Hotels.com guest ratings averaged 4.3 points out of 5 from 30 reviews. 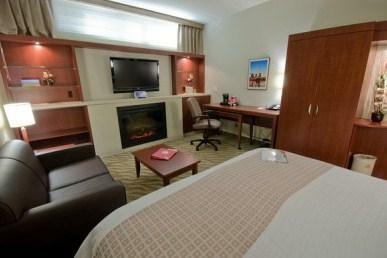 Expedia.ca guest ratings averaged 4 points out of 5 from 1 review. 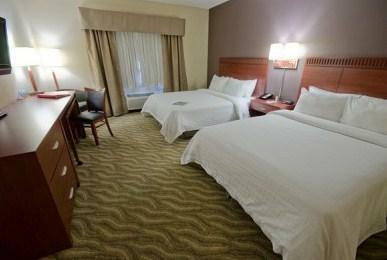 Orbitz.com guest ratings averaged 4.3 points out of 5 from 4 reviews. 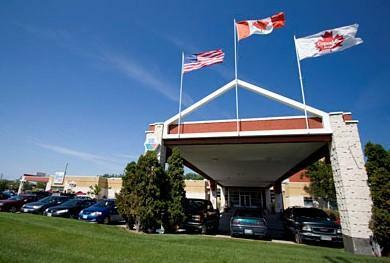 The average guest rating for Canad Inns Garden City is 7.9 out of 10 based on 648 reviews from past guests. 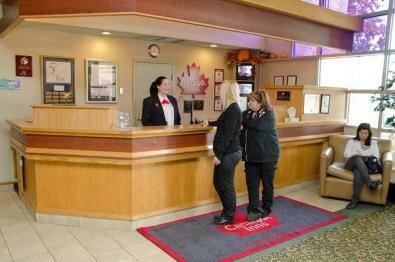 This average guest rating ranks Canad Inns Garden City at #29 out of 43 hotels in Winnipeg.